R Kelly wrote a letter threatening to reveal embarrassing details of a woman’s sexual history if she didn’t drop a lawsuit accusing him of sexual abuse, the woman and her lawyer said on Monday. “If Ms Rodgers really cares about her own reputation she should cease her participation and association with the organisers of this negative campaign,” the letter said. Rodgers, 21, said she met Kelly as a 19-year-old after a concert in San Antonio. She participated in the recently aired Lifetime documentary ‘Surviving R Kelly,’ which catalogued years of accusations against the singer. 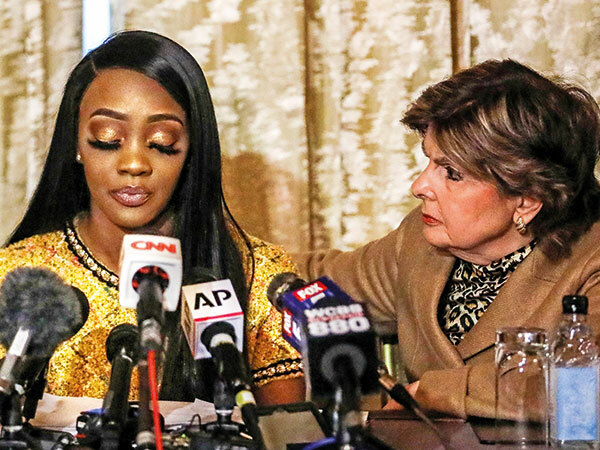 “We are here today to let Mr Kelly know in no uncertain terms that he cannot and will not intimidate his alleged victims into keeping silent about their allegations,” one of her lawyers, Gloria Allred, said at the news conference. Also on Monday, the Chicago Tribune published a story detailing court records it obtained on a July lawsuit seeking payment of $174,000 (Dh639,032) in back rent and other costs for his Chicago recording studio. The documents include a signed eviction notice, which was put on hold until January 21 for Kelly to pay.